Kia Certified Pre-Owned vehicles provide their owners with the assurance that they have purchased a quality used vehicle. Every Kia Certified Pre-Owned vehicle has undergone a vigorous 150-Point Quality Assurance Inspection and features a CARFAX Vehicle History Reports to provide additional peace of mind. And the benefits don’t stop once you drive off the lot. 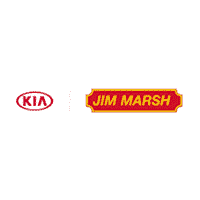 Every Kia Certified Pre-Owned Vehicle comes with a Kia Certified Pre-Owned Limited Powertrain Warranty, Roadside Assistance, as well as Travel Breakdown Coverage.
. Elgible for Additional Comprehensive Mechanical Failure Coverage. RENTAL CAR COVERAGE: Up to $35 per day for a maximum of ten (10) days for car rental expense incurred due to a covered mechanical breakdown or manufacturer’s warranty repair. TOWING COVERAGE: Up to$75 for towing charges per covered mechanical breakdown. TRAVEL BREAKDOWN COVERAGE: For breakdowns more than 100 miles from home, you will be reimbursed up to $75 per day, for a maximum of $375 per occurrence for food and lodging per covered mechanical breakdown.